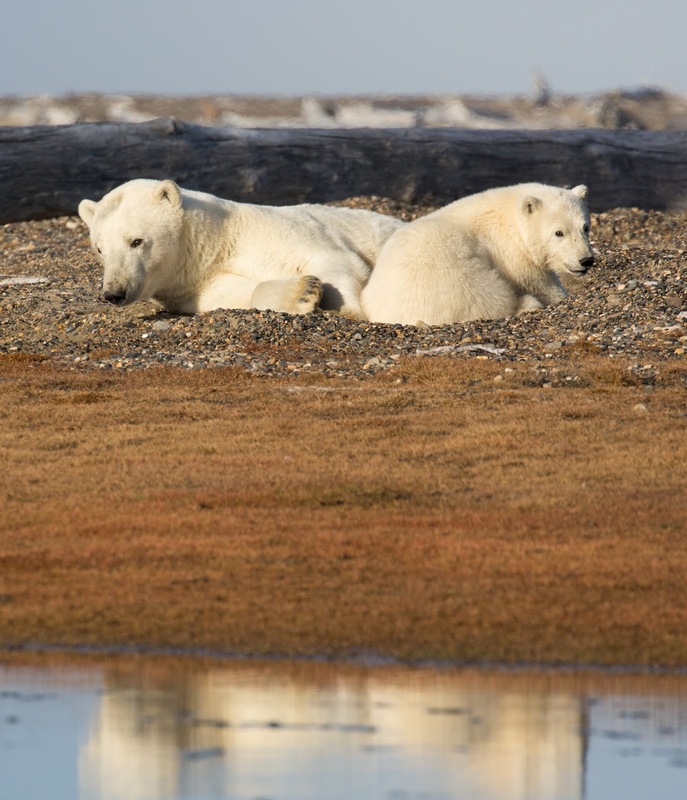 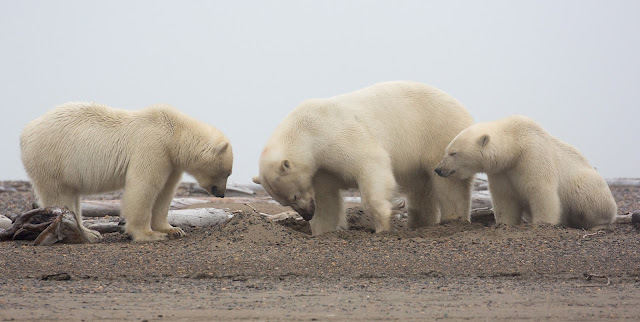 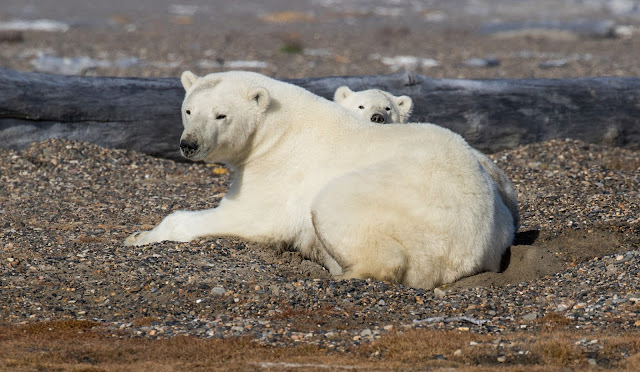 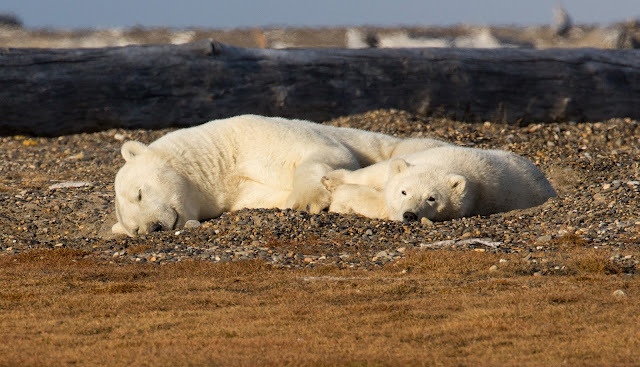 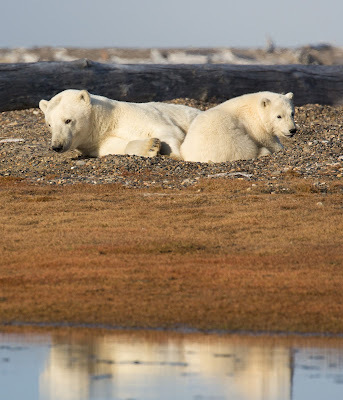 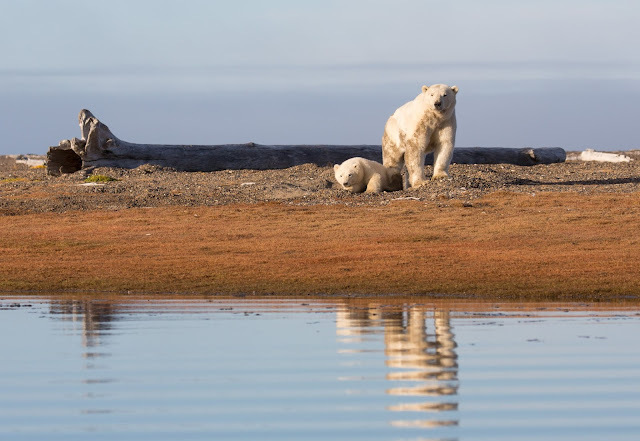 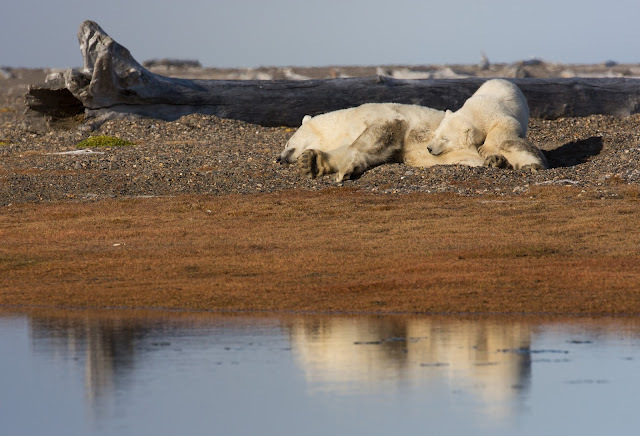 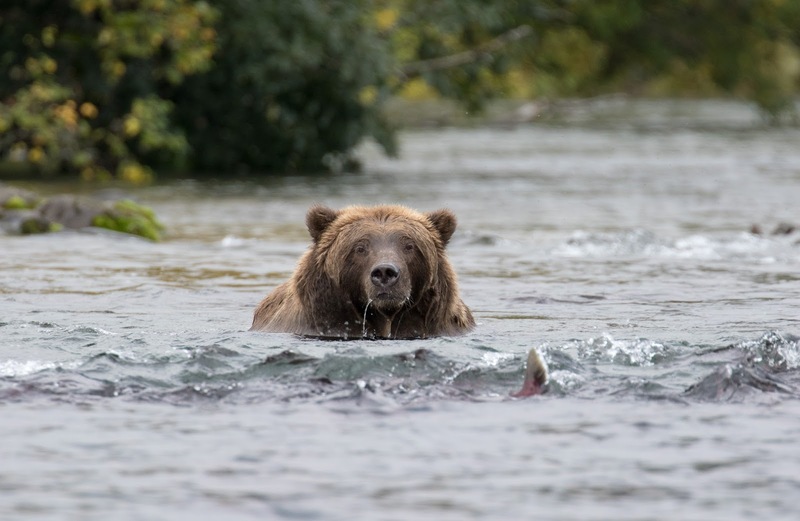 Brooks Camp is part of Katmai National Park on the Alaska Peninsula, and unlike the nearby McNeil River which I visited last year is managed by the State. Brooks is a world away from McNeil in its approach to wilderness and concessions to visitors. 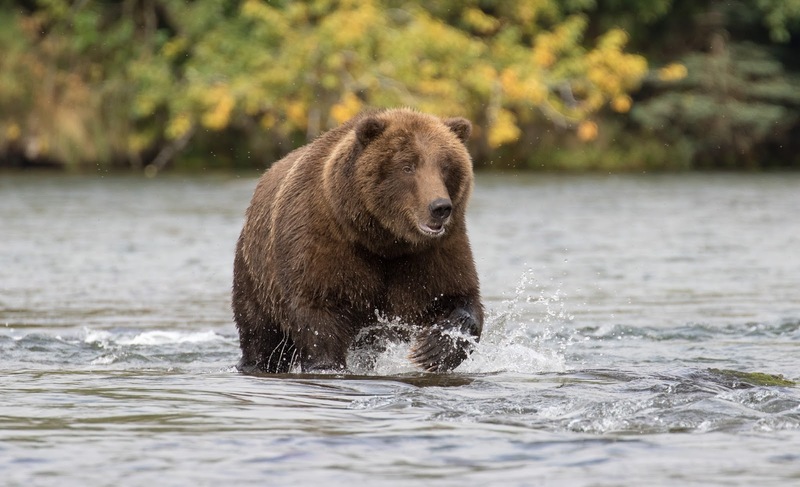 It’s in a remote location, reached by scheduled flight to King Salmon followed by a short float plane journey, but has been developed to provide extensive visitor facilities including a Lodge. 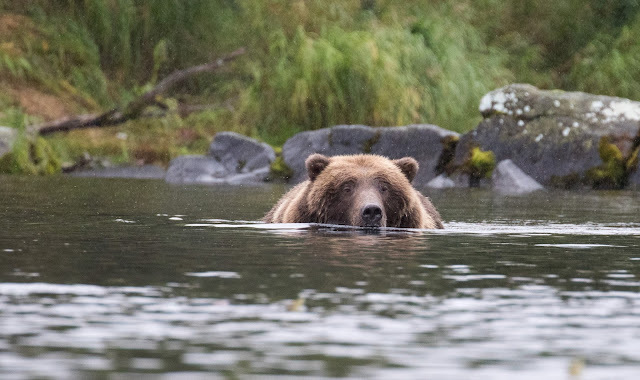 After landing on the beach, I was immediately directed to the first of two gift shops on site, to wait for a bear orientation video. 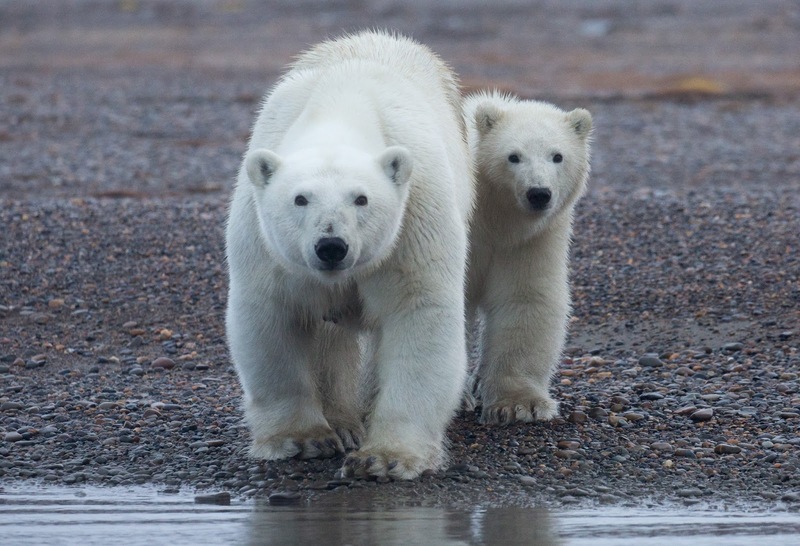 There’s electricity and running hot water at the Lodge, and staff drive around roads on site in noisy gas powered vehicles. The bear viewing is centred around three platforms, which can become crowded with people, and far from solitude, there was constant human activity and noise. 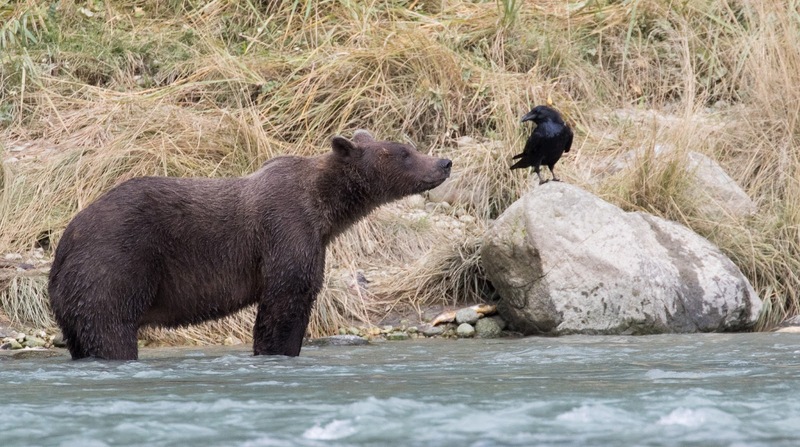 The bear viewing was regulated in the rather simplistic terms of maintaining a 50 yard distance from any bear. 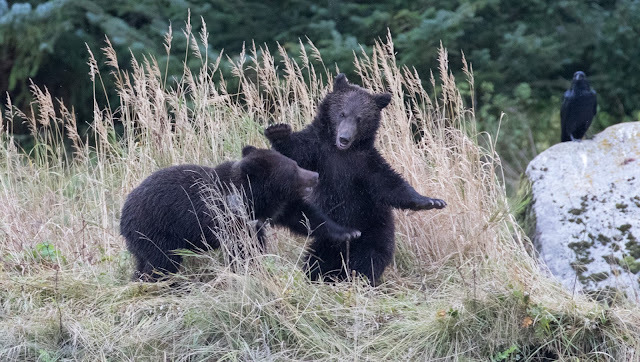 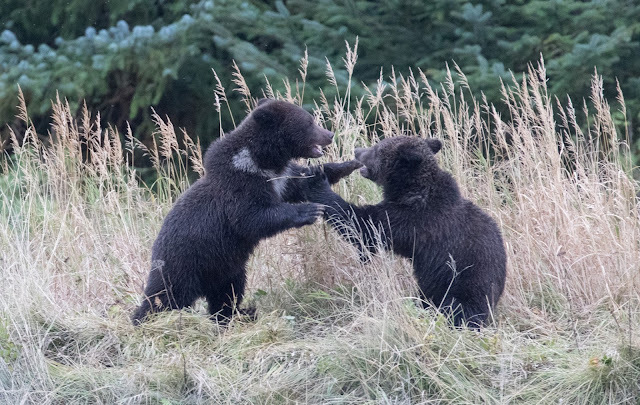 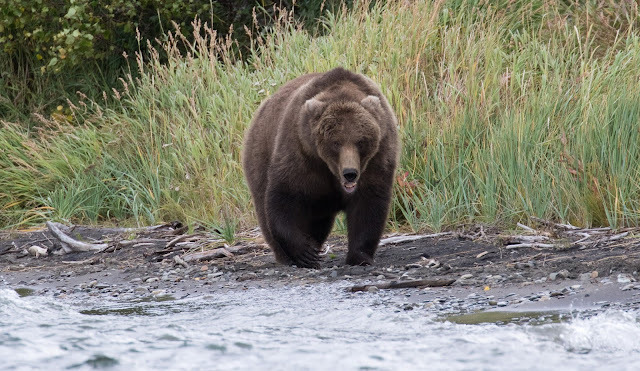 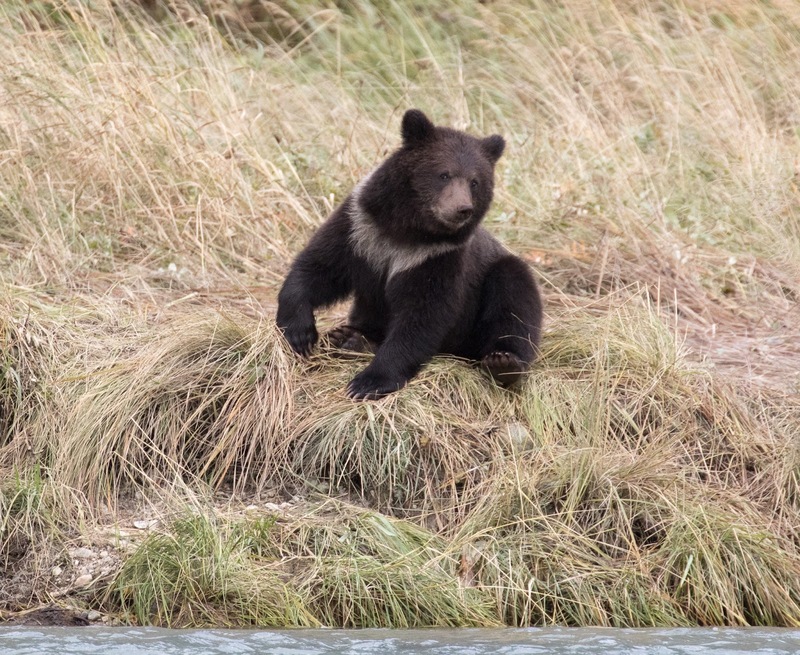 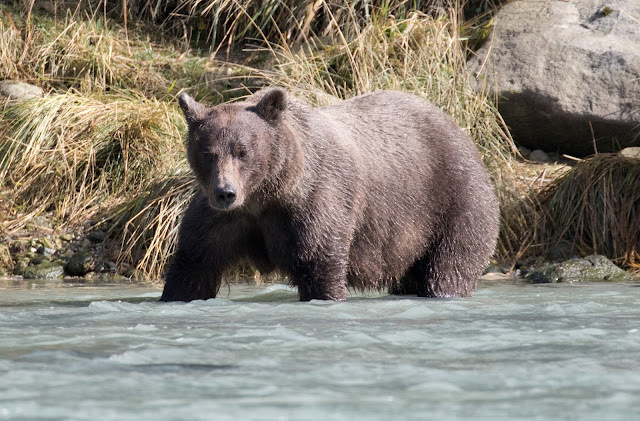 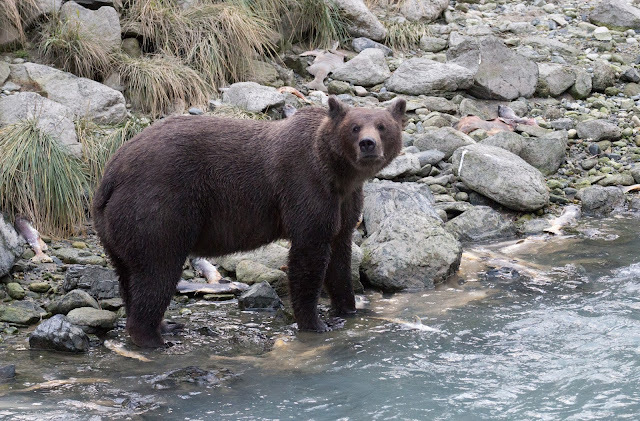 This is a markedly less intelligent approach than used at McNeil River, and the use of the site for angling gives greater potential for conflict with bears. 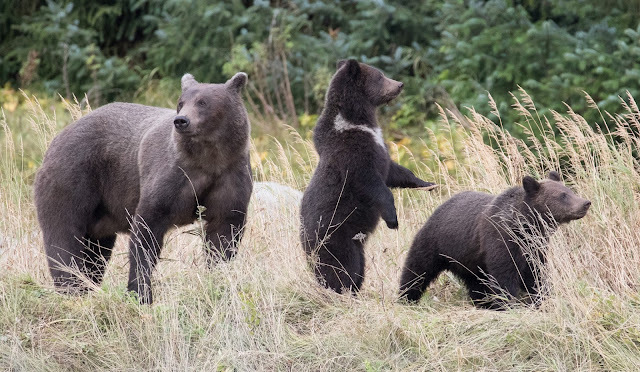 At times, the rangers seem to be engaged in crowd control as much as education. There is at least a campsite, which is an inexpensive and a lower impact way of staying on site compared to the Lodge. 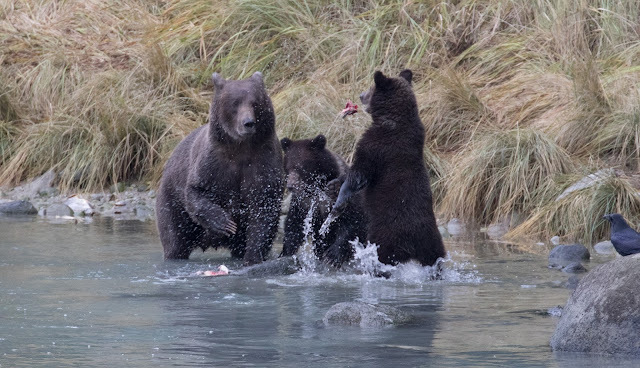 July is peak season at Brooks, when bears gather at the falls overlooked by a row of photographers attempting to replicate the iconic shot of salmon leaping into a bear’s mouth. 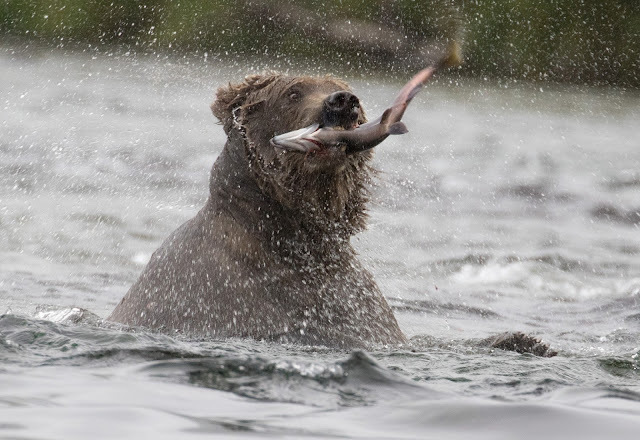 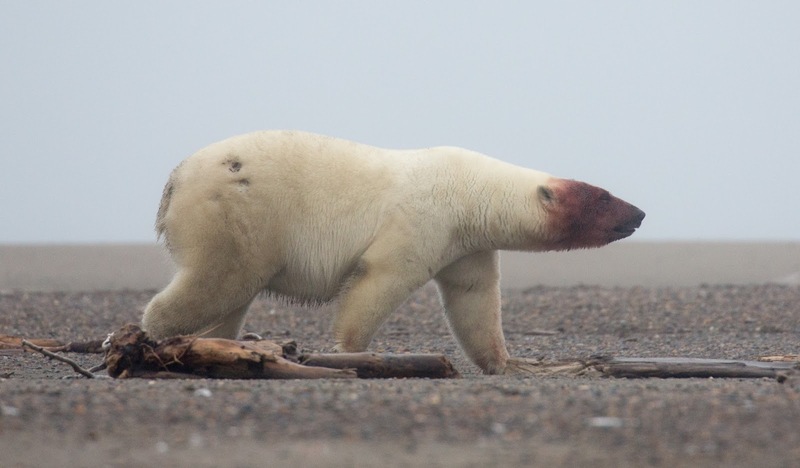 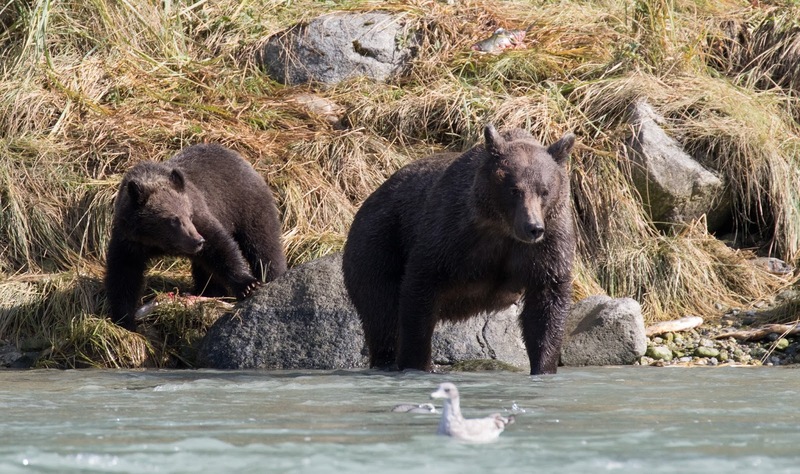 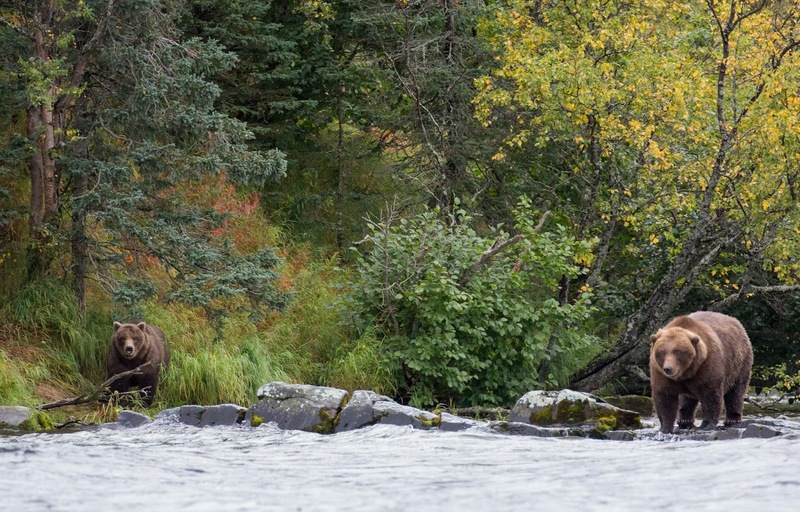 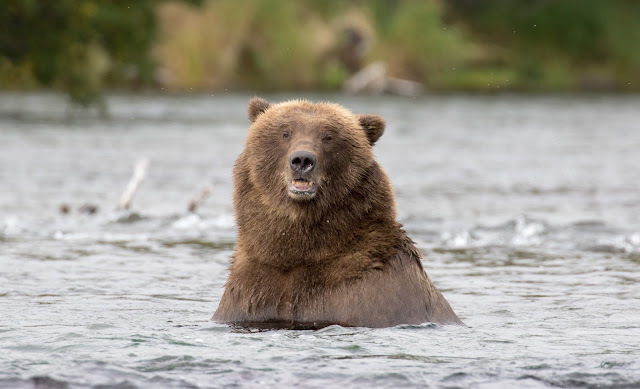 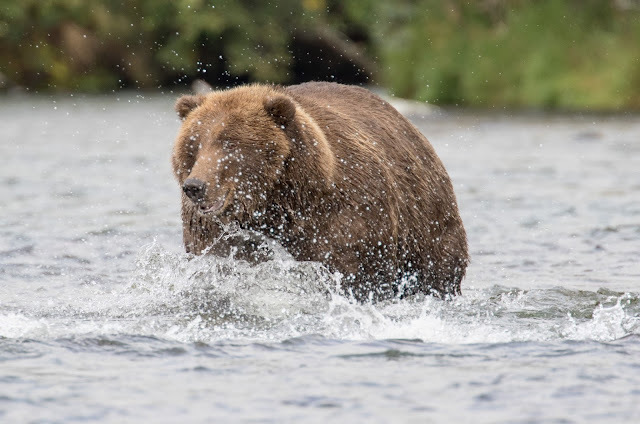 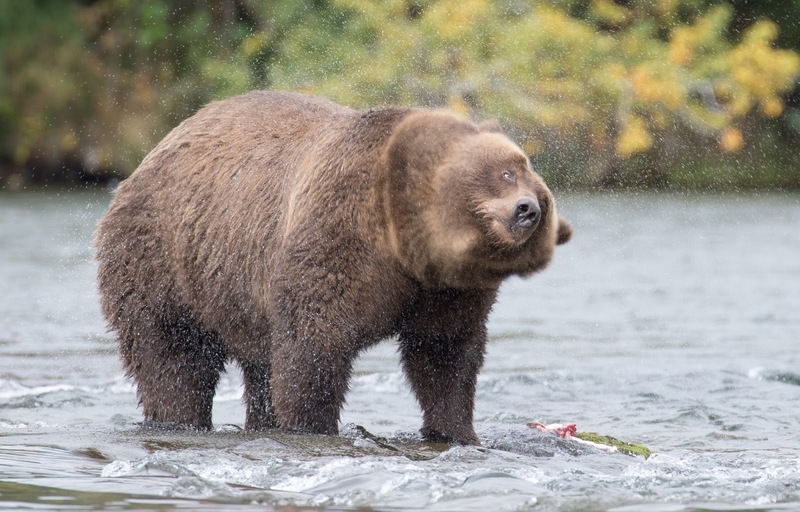 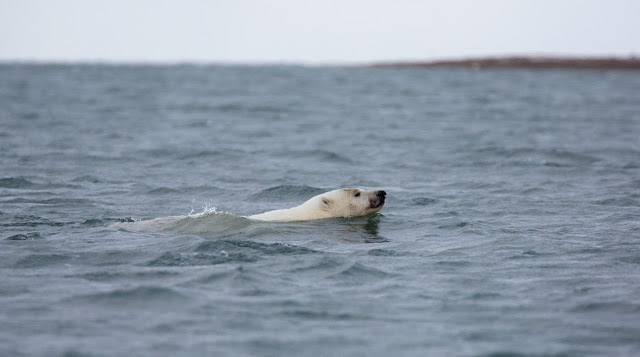 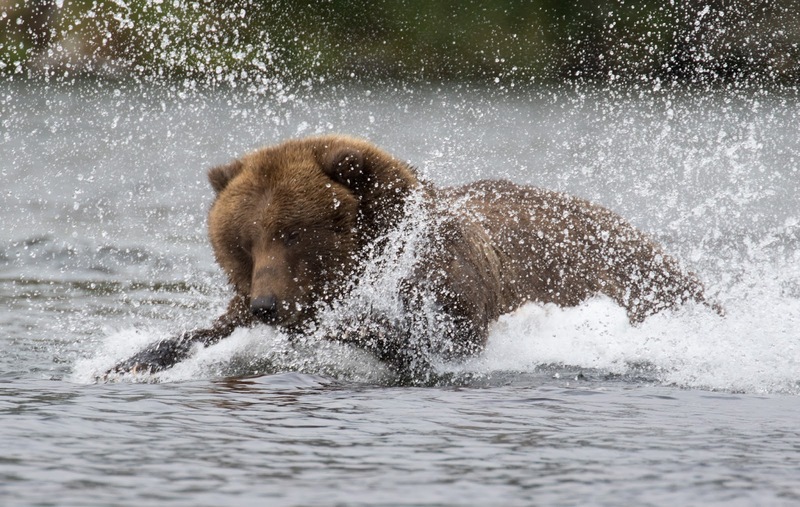 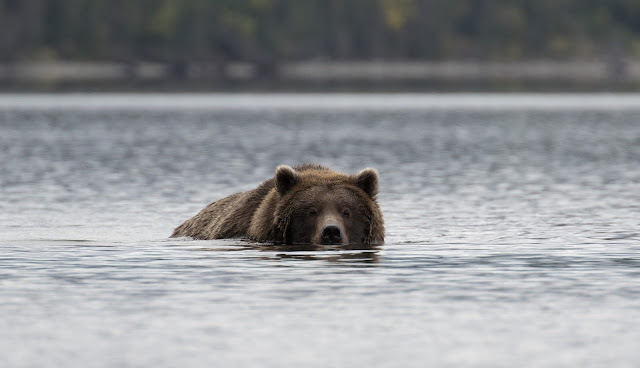 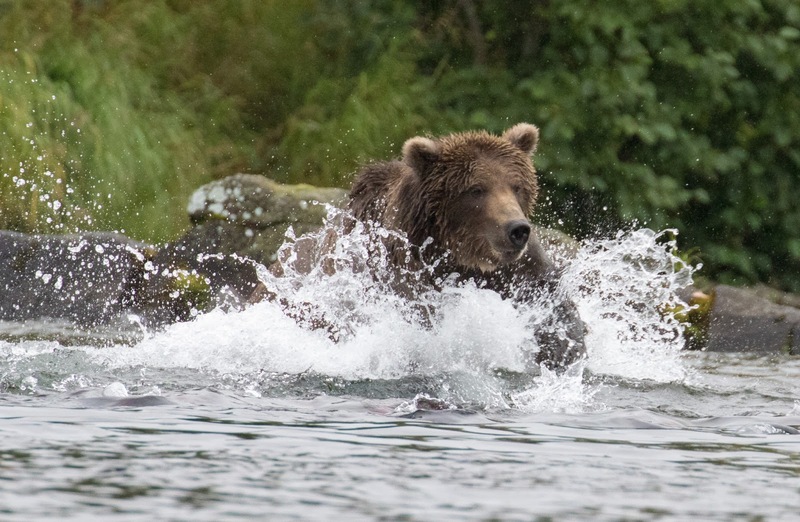 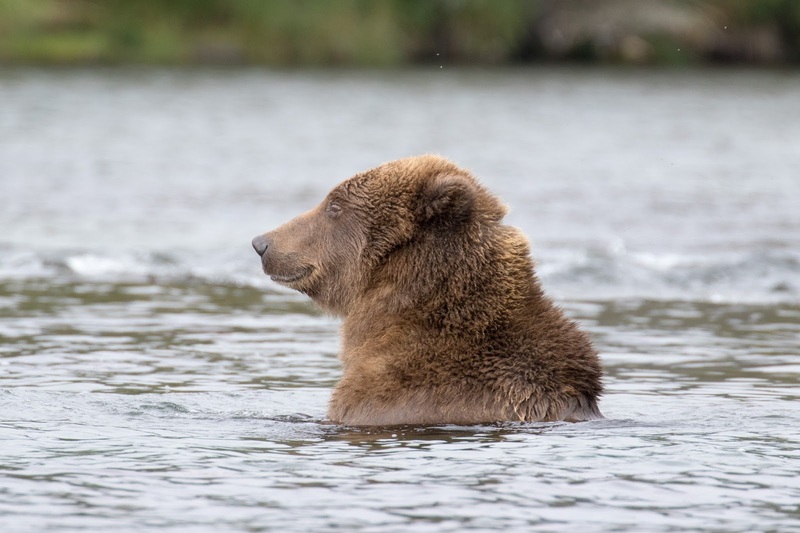 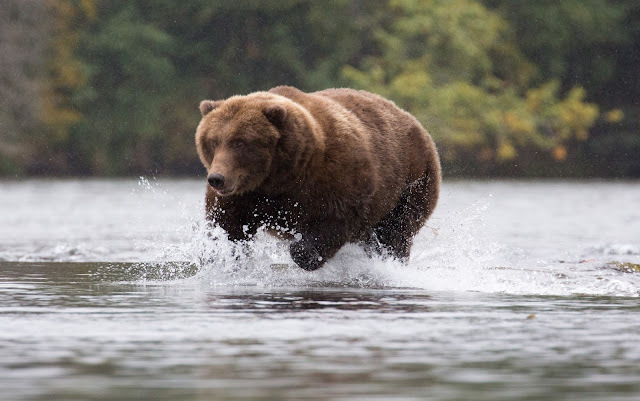 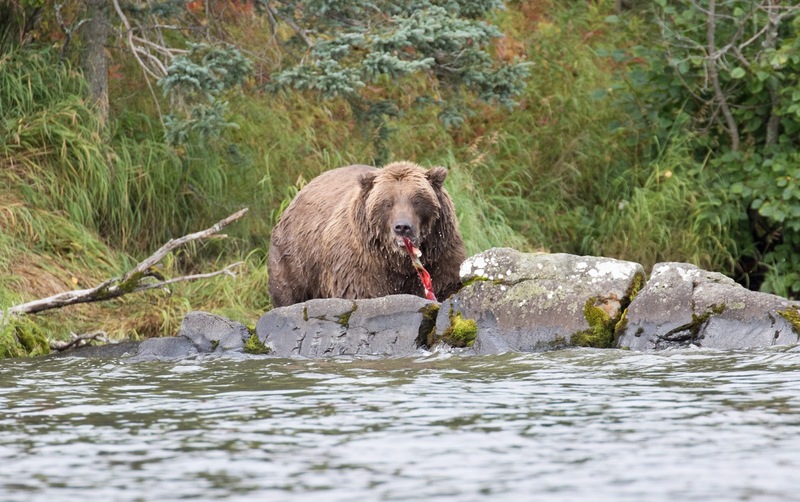 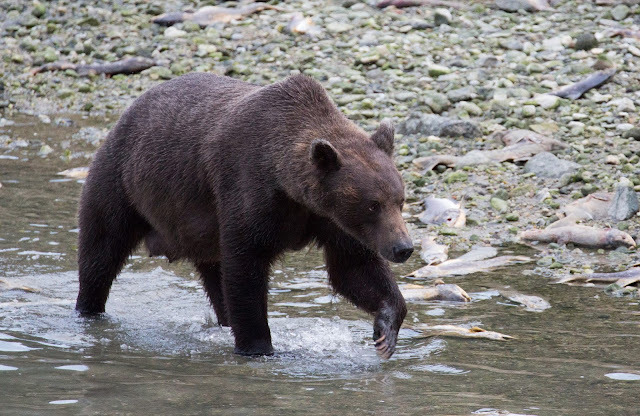 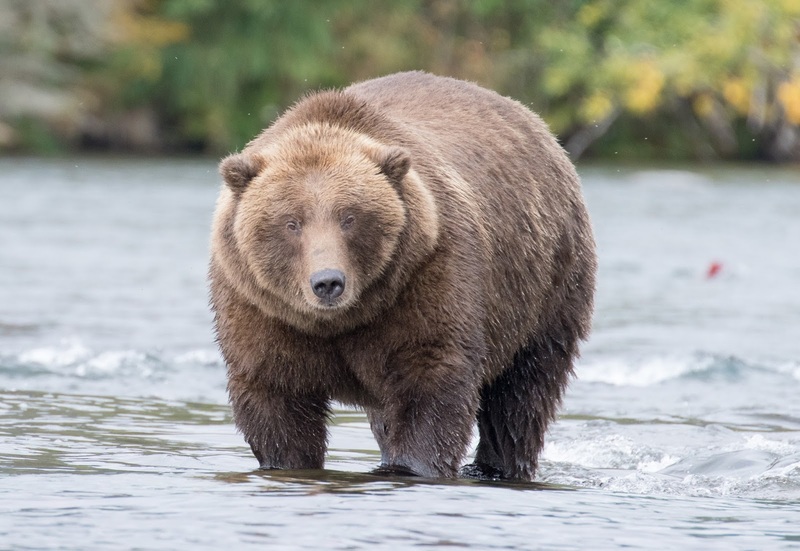 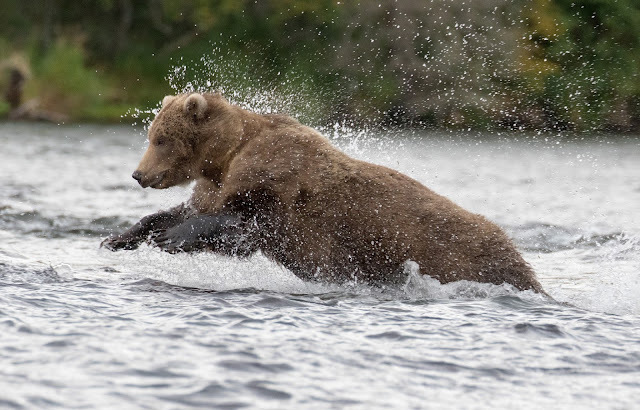 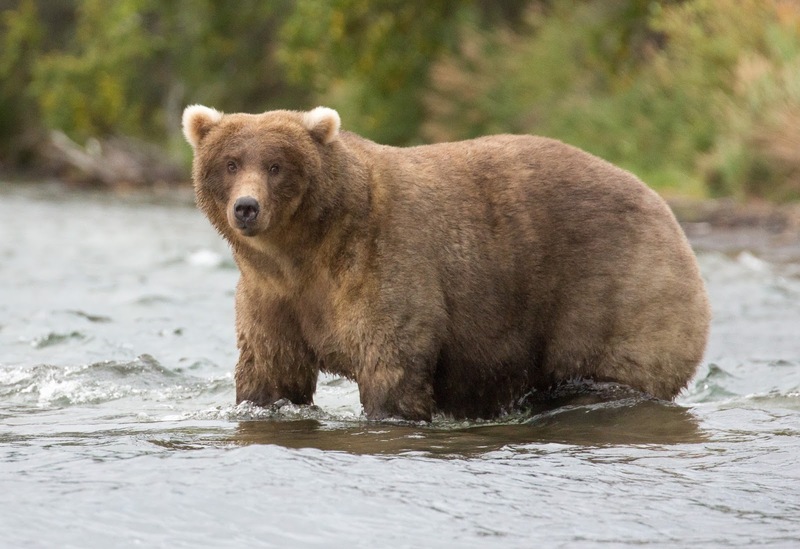 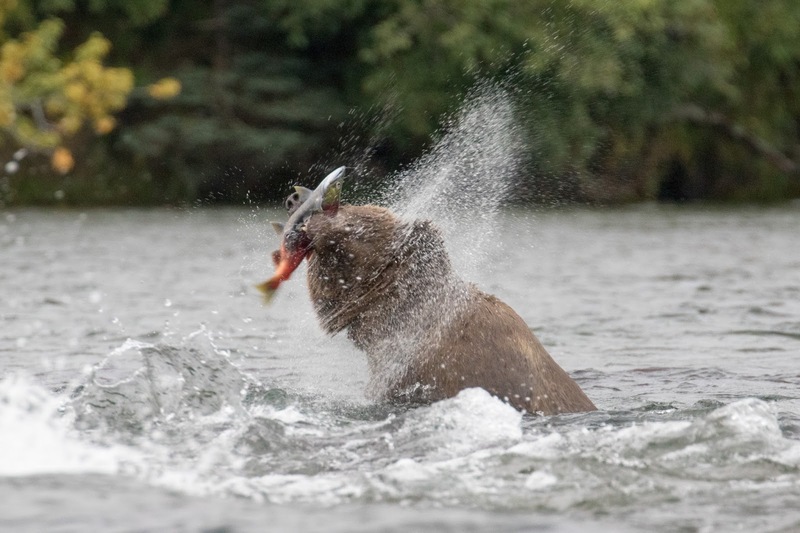 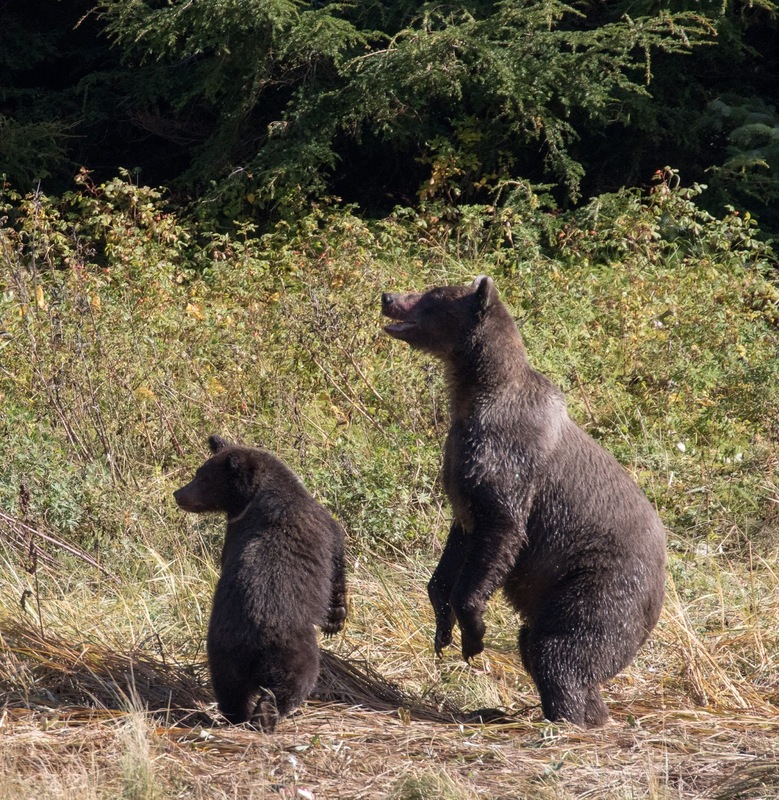 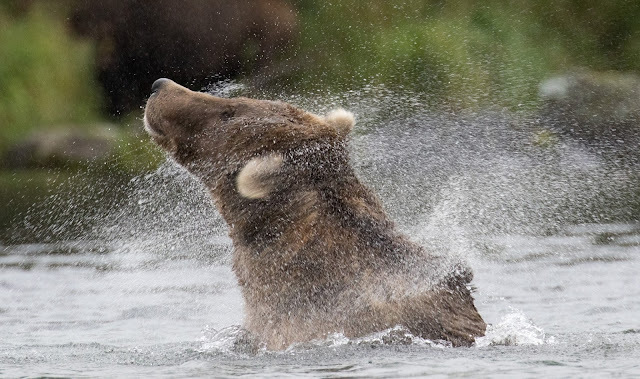 However, the bears return in September to feed on the spawned out fish; although in 2015 the salmon run had been late, and bear numbers were far lower than usual. 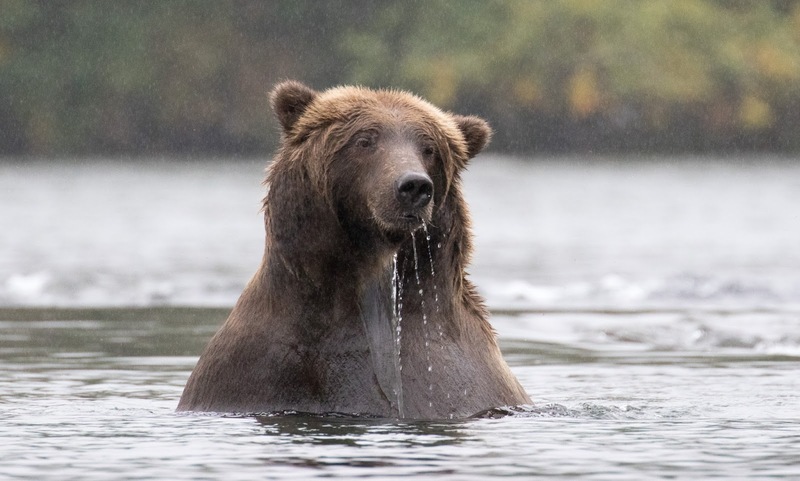 My patience was rewarded at Brooks Lake, away from the platforms, where I saw brown bears fishing, after hours of waiting in constant rain. It has to be said Brooks is democratic in the sense of providing more people opportunities to observe bears in the wild than McNeil River ever can. 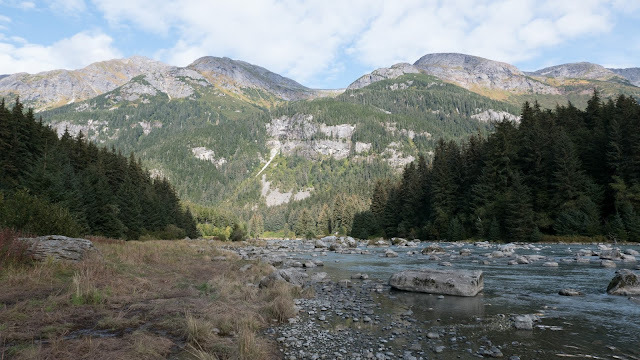 However, I feel Anan Creek in SE Alaska shows that a compromise is possible: 60 permits a day are issued there to day trippers visiting by boat, but there is no intrusive infrastructure on site, and the wilderness feel is preserved. 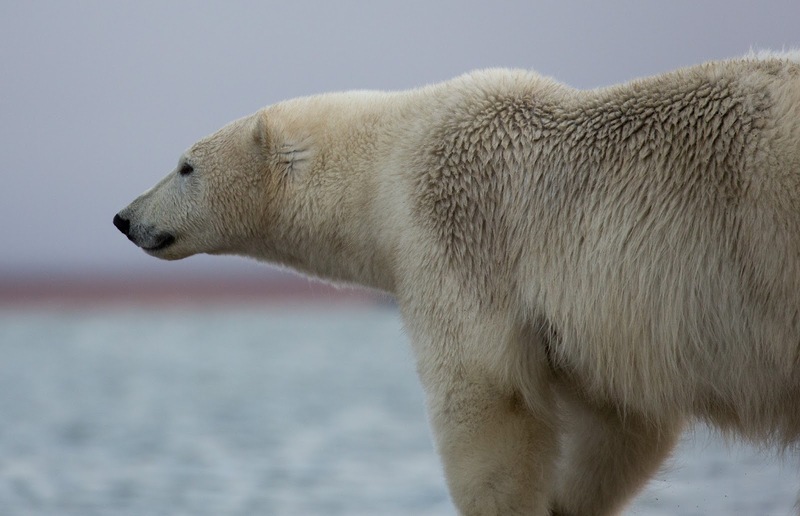 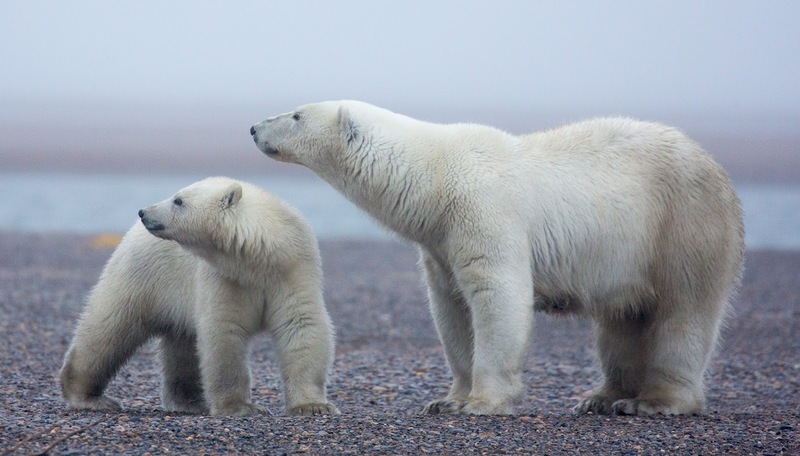 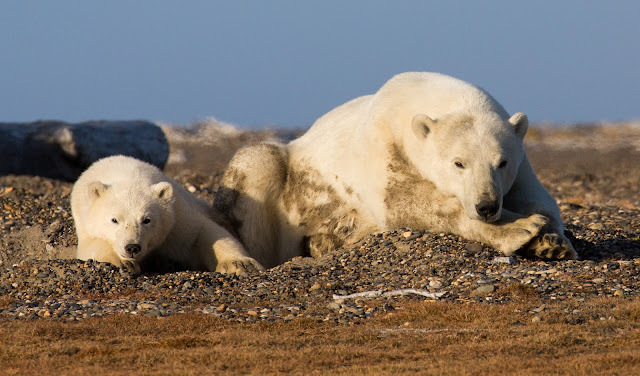 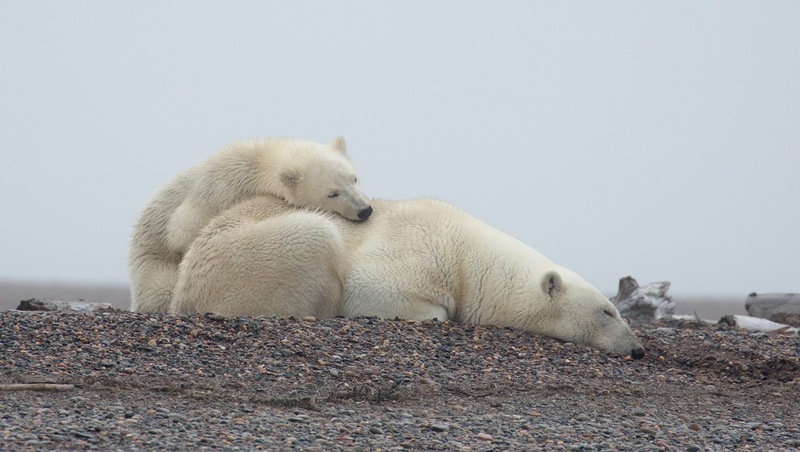 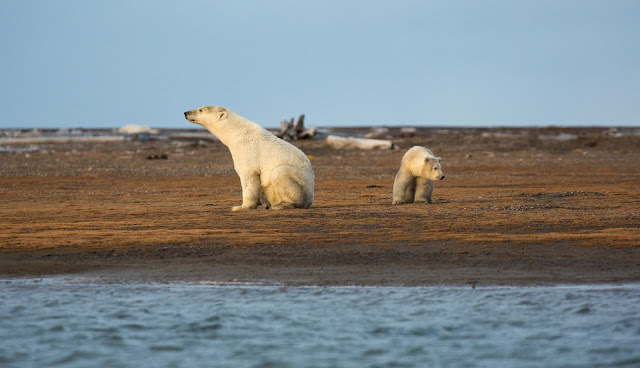 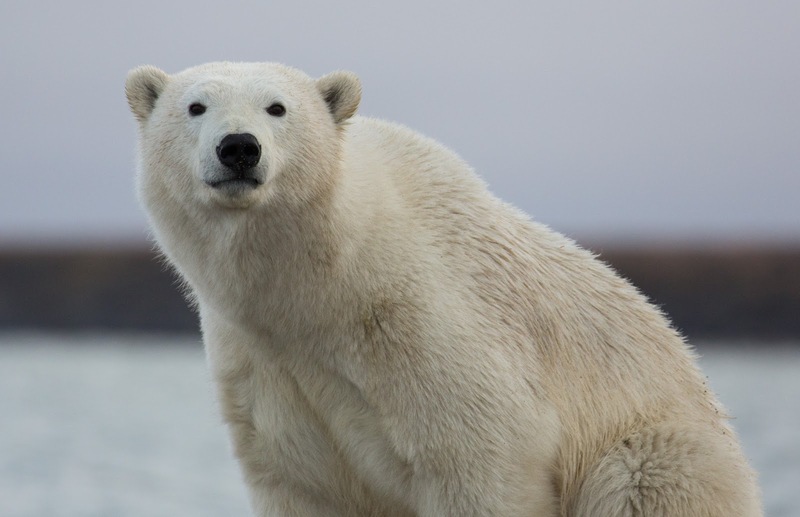 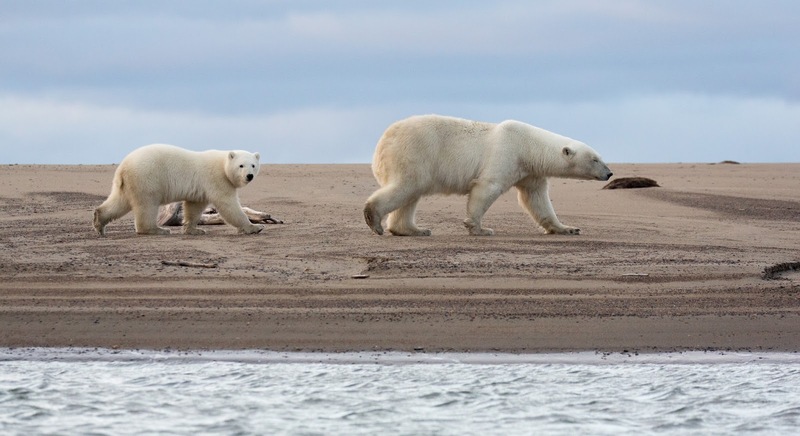 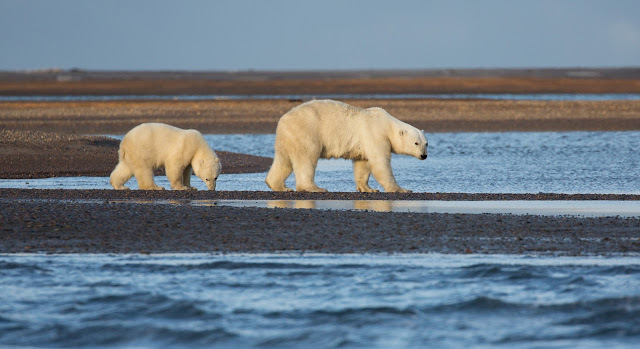 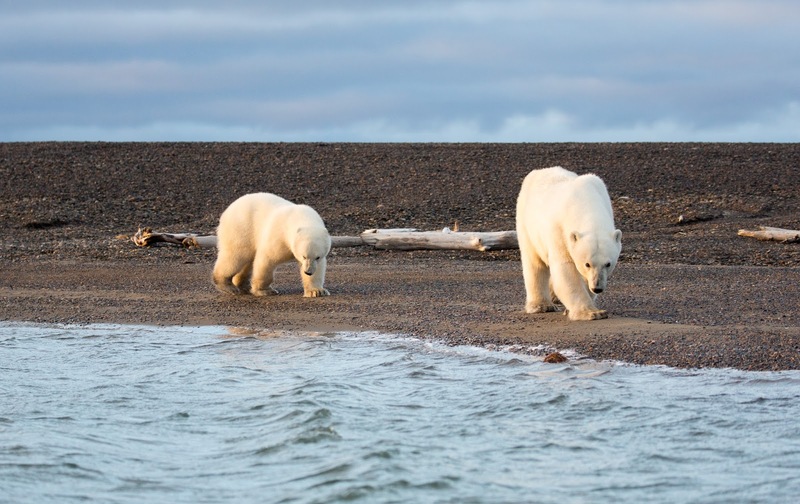 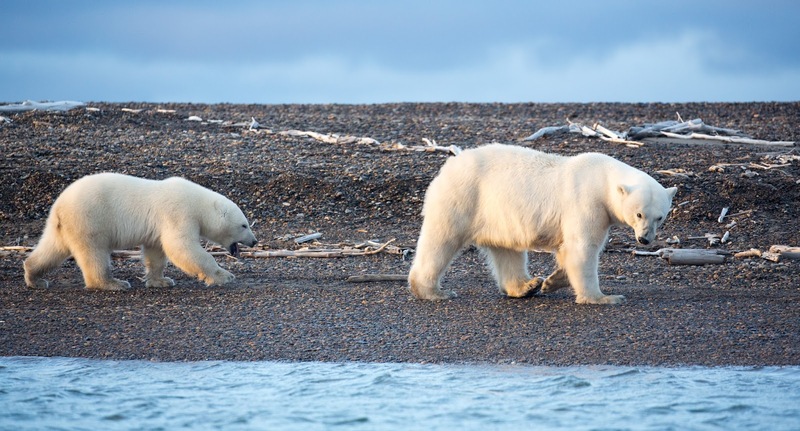 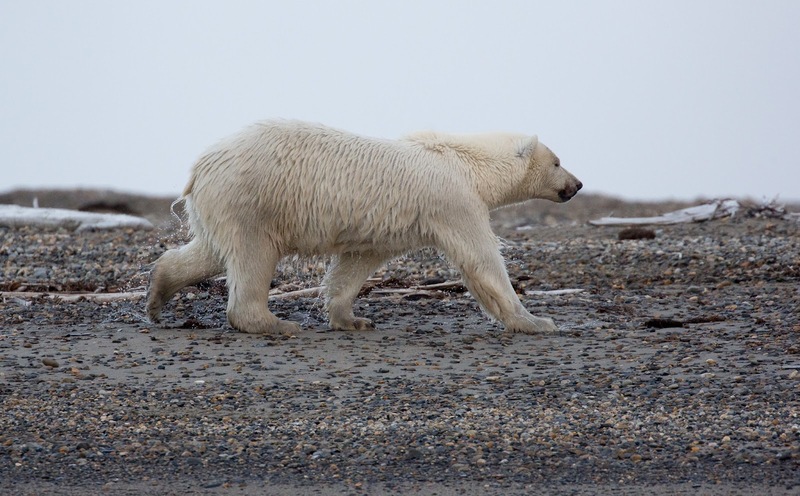 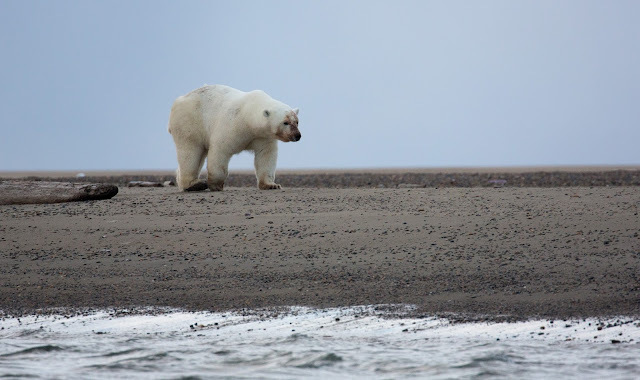 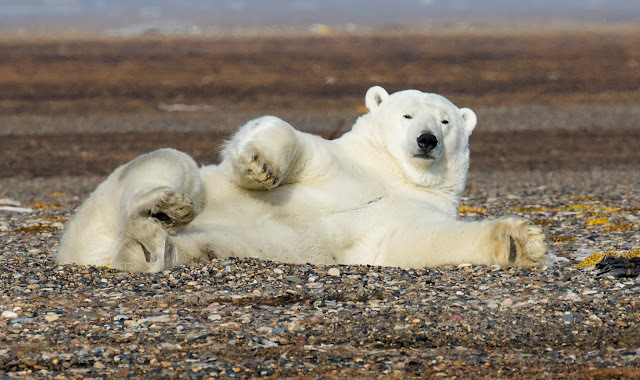 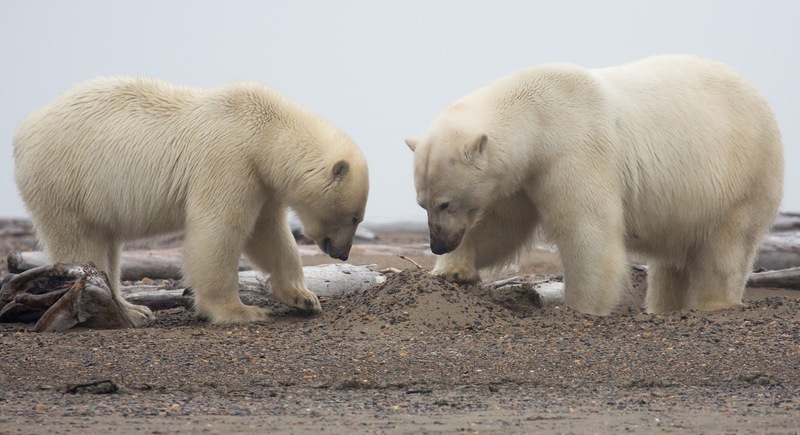 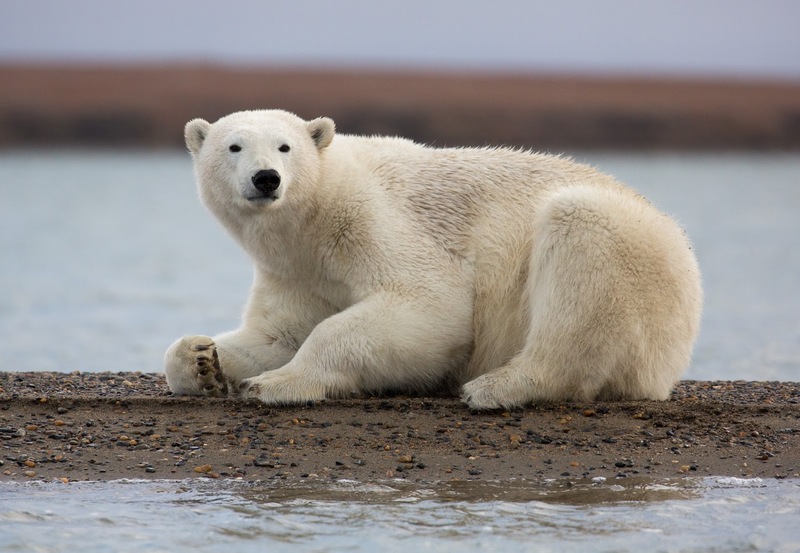 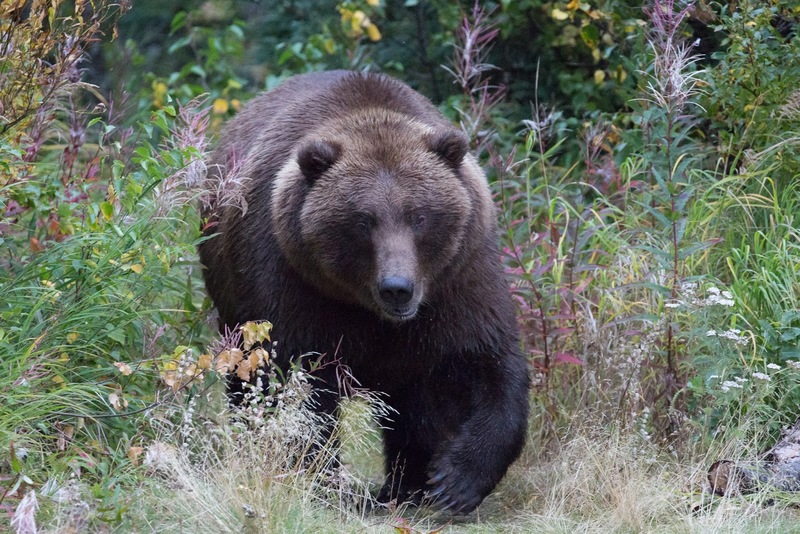 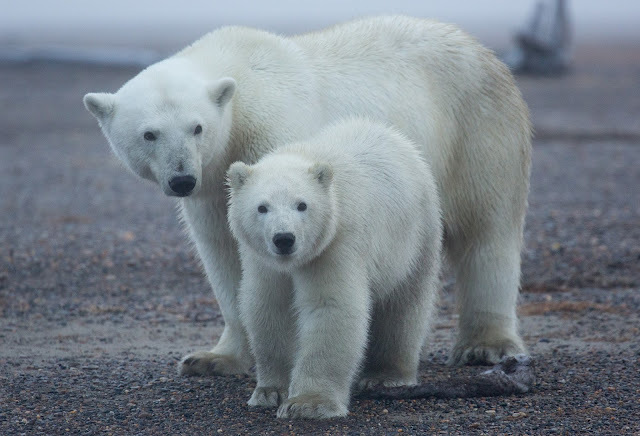 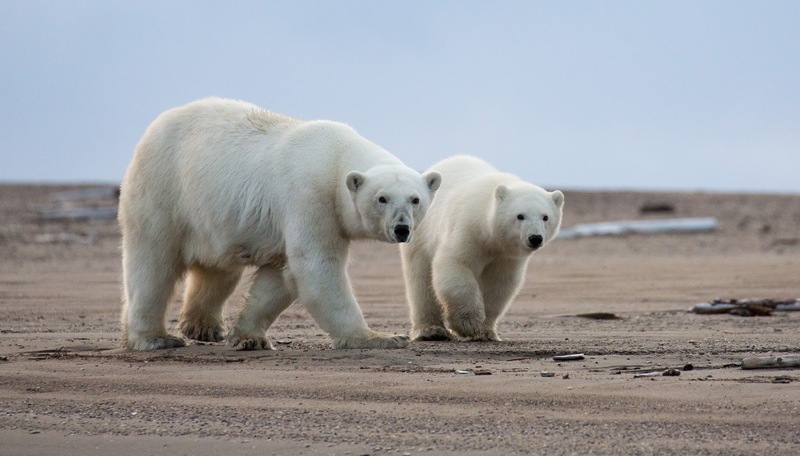 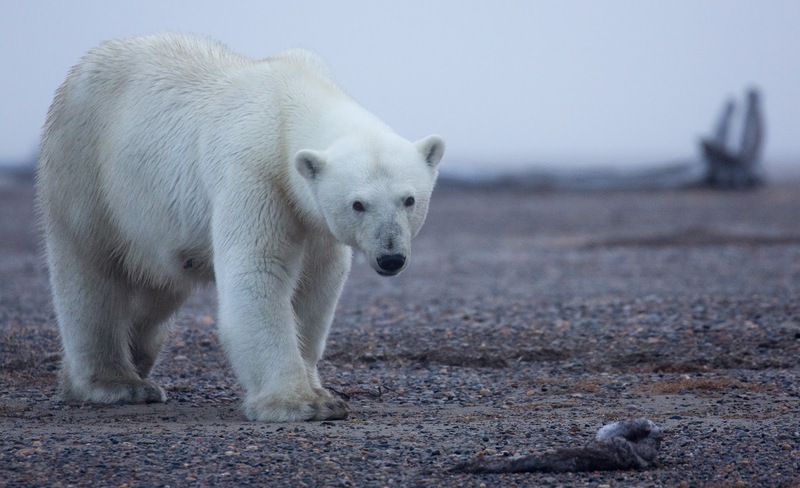 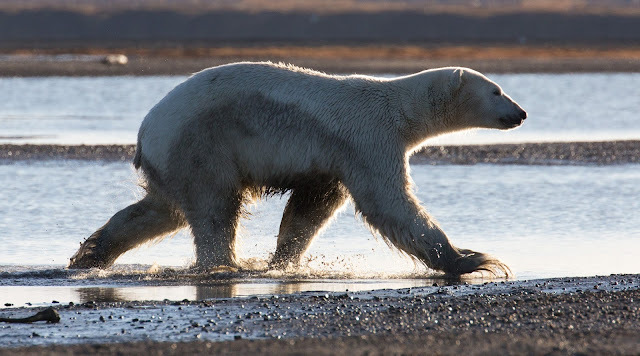 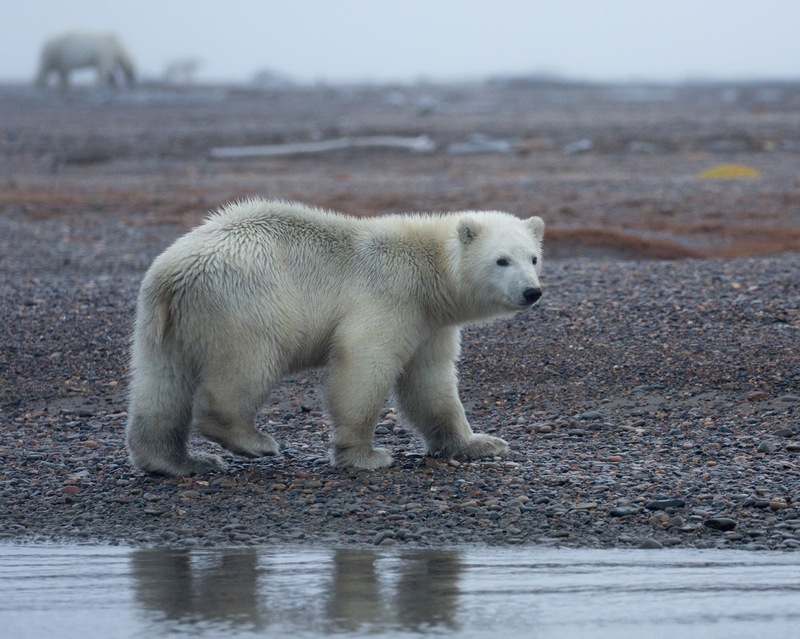 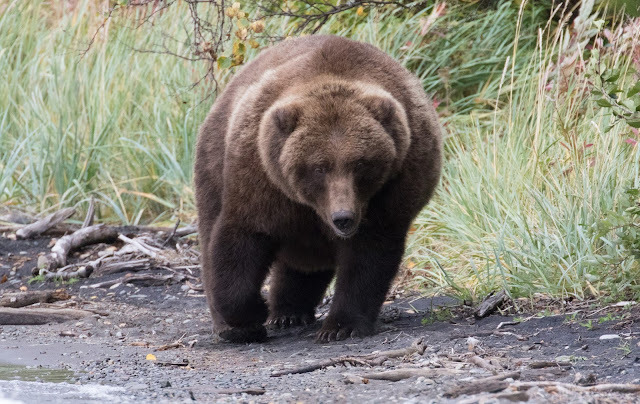 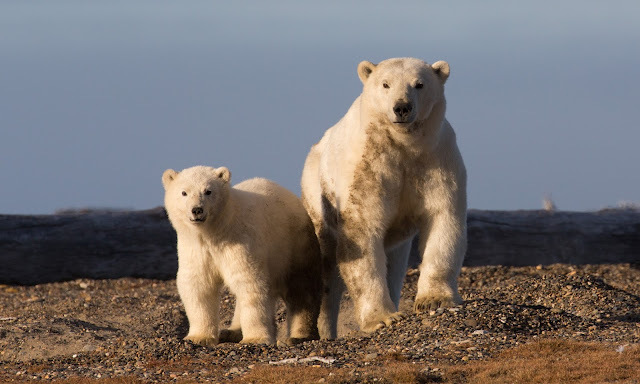 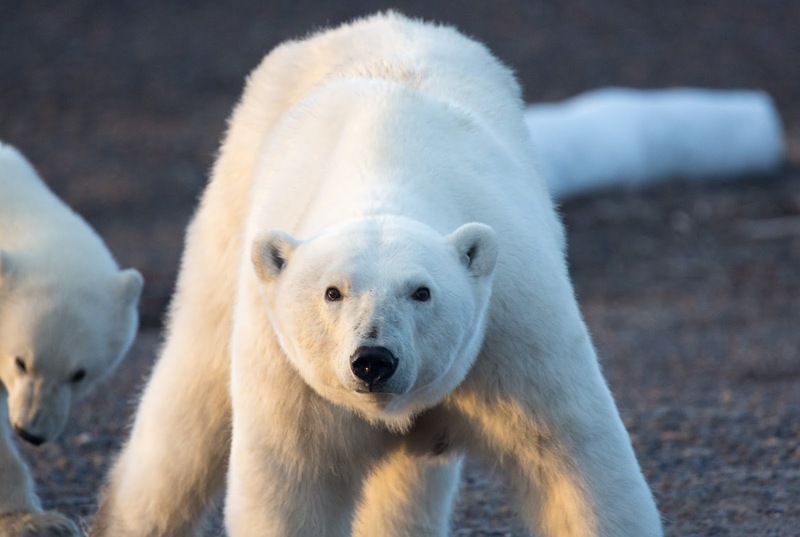 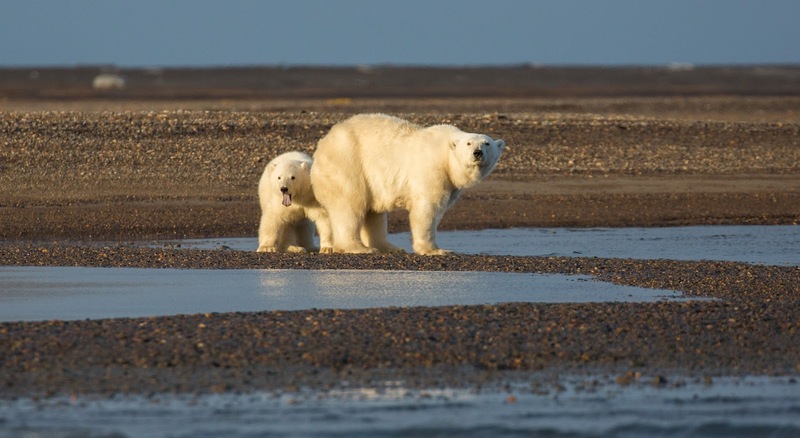 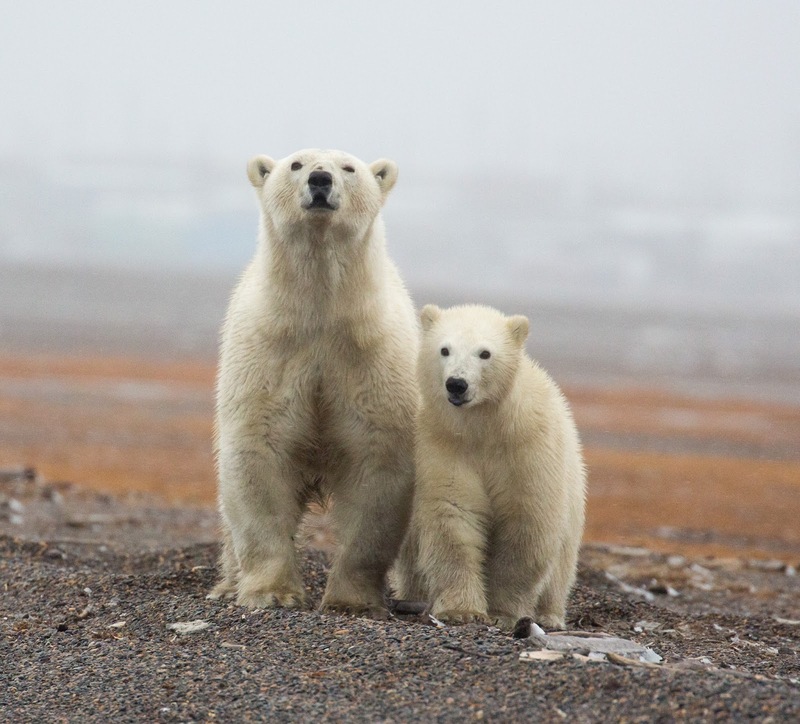 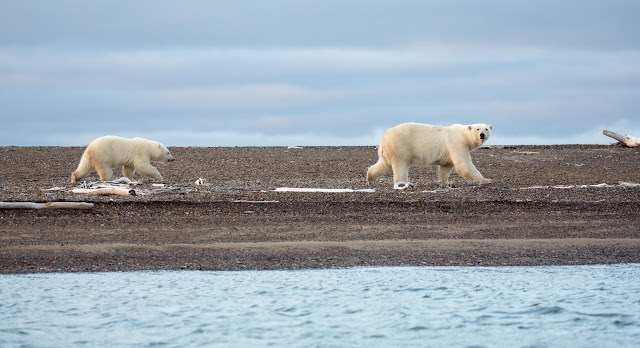 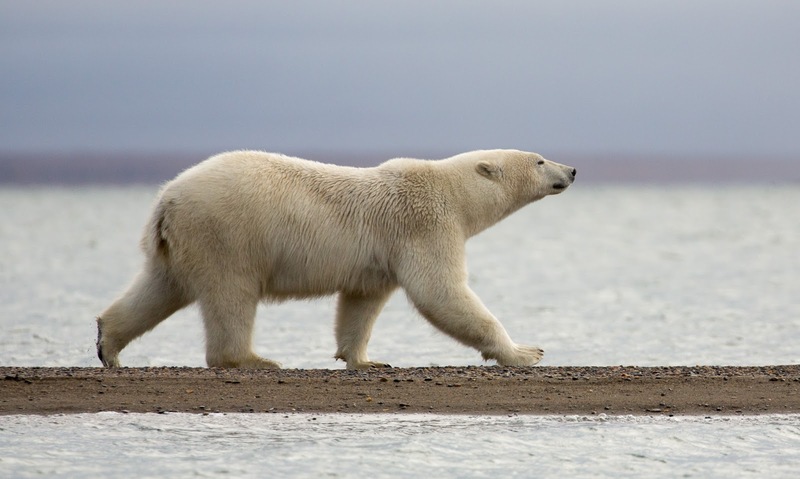 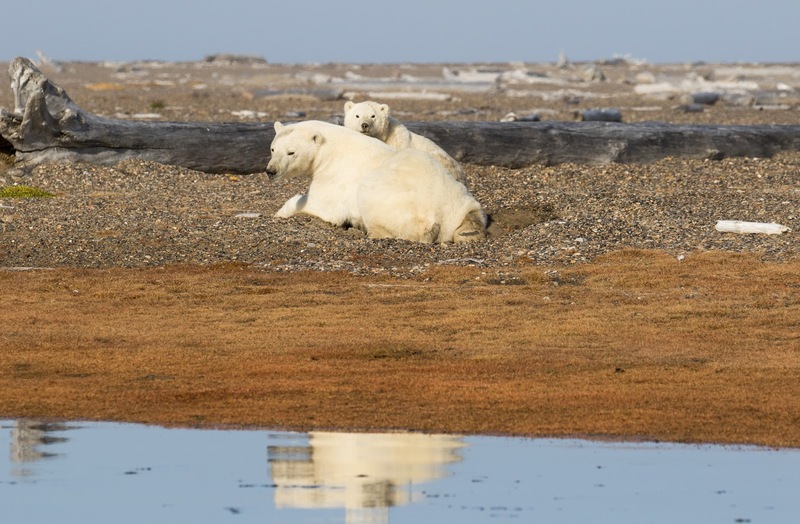 This article refers to a study by the eminent bear biologist Barrie Gilbert, who states that development on the scale of Brooks in prime brown bear habitat has not been permitted anywhere else in the world. He expresses concern at the impact on the bears of expansion of up to 200 visitors per day, and calls for a limit to be set. 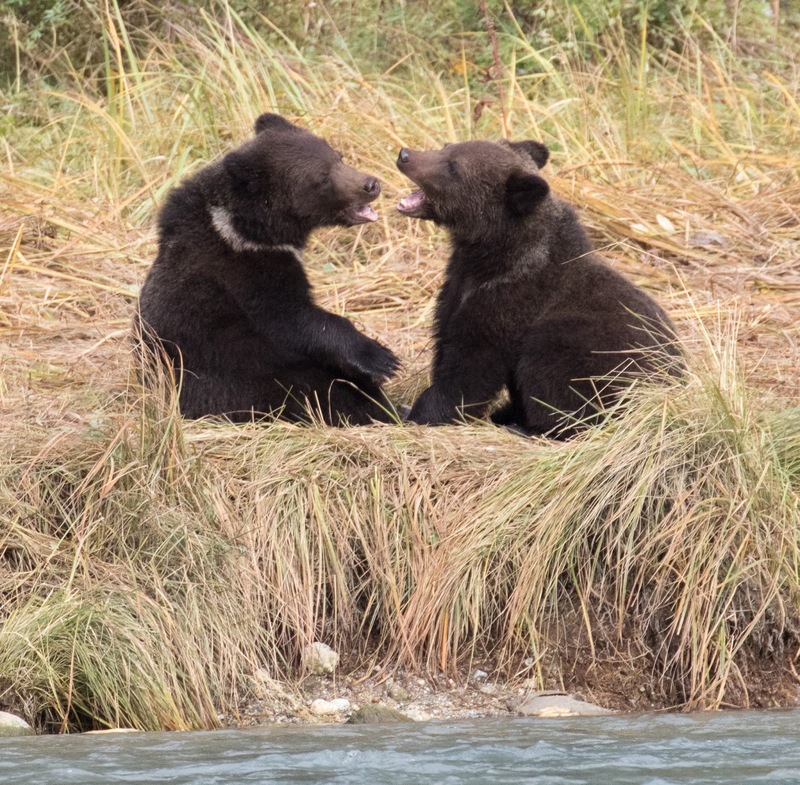 A proposed $7 million dollar bridge to be constructed at Brooks will only exacerbate the pressure on the bears. 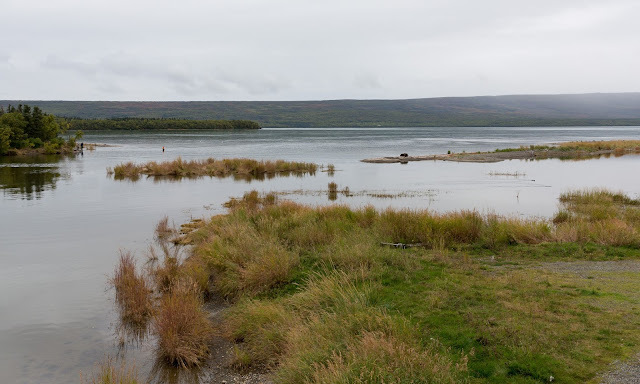 It would appear that commercial considerations have prevented the plan first put forward in 1996 to move visitor services to a less sensitive part of the site instead of having them separated by a river. 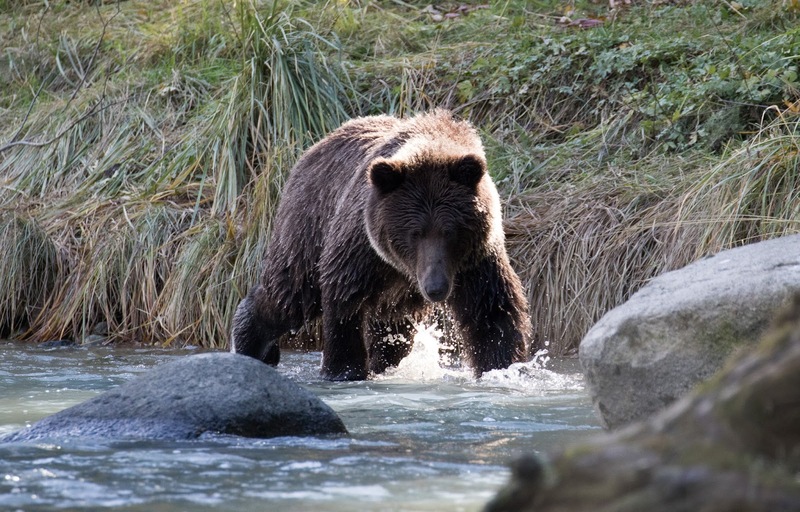 After my visit, I feel that the profits of the concessionaire are being prioritised ahead of best practice in wildlife management. This is short-sighted, as well as ethically questionable, and the phrase 'Disneyland for bear viewing' springs to mind.